March 8, 2019 March 7, 2019 by organizednsimplifiedLeave a Comment on March is Colon Cancer Awareness Month! In 2014, my dad was diagnosed with colon cancer. Although he had turned 50 the year before and had already survived Hodgkin’s lymphoma, he had put off his colonoscopy. My mother convinced him to get his test one year later, even though he really didn’t want to. His routine colonoscopy resulted in doctors discovering a blockage and he had to have a colon resectioning. It was after his surgery that we learned he had colon cancer. Over the next three years, he had aggressive chemo treatments, radiation, seed therapy, and many more surgeries. Despite having excellent medical care, he passed away in 2017. He was 54. Although my dad didn’t survive cancer, he was able to live three more years after his diagnosis. I believe if he hadn’t had his colonoscopy and discovered his cancer when he did, he would not have lived as long as he did. Colon cancer is now the third most commonly diagnosed cancer and the third most common cause of cancer deaths. More than 142,000 Americans are diagnosed with colon cancer each year, and while 90% of them are 50 or older, colon cancer is on the rise for people in their thirties and forties. Typically, a person doesn’t get their first colonoscopy until they are fifty, unless they have a family history. There are three things that automatically increase your risk of colon cancer- having a family history, being a carrier of the Lynch syndrome gene, or having an inflammatory bowel disease such as Crohn’s Disease. The following lifestyle changes can drastically reduce most people’s risk of colon cancer: maintaining a healthy weight, not smoking, exercising regularly, eating a high-fiber, low-fat diet and limiting your sugar and red meats, and getting a yearly physical and blood work. If you are fifty or older, you should get a colonoscopy yearly, but if you carry a high risk of developing colon cancer, you will need to get your first one before age 50. If you are unsure about what age you need to get your first one, consult your doctor. Consult the infographic below for more information. Colon cancer is a difficult and often deadly disease, but if caught early, it’s treatable. Making smart lifestyle choices and getting your yearly health screenings can make a huge difference. A brief hiatus, and now: a return. I apologize for my lack of posts lately. I intended to take the week of Thanksgiving off, but I did not intend to take three weeks off. Several things led to my taking three weeks off of blogging- some of them were planned, and some of them were not. Without revealing too many details, my family has been struggling lately. Some of the struggle is due to missing my dad and grandfather and trying to navigate through grief and the holiday season. Many of you can likely relate to this. In addition, we are dealing with something else in our home. We covet your prayers, and perhaps I’ll talk about this at a later date, but for now I need to keep quiet for my family’s sake. In the midst of all of those things, I was also diagnosed with bronchitis and pneumonia. Needless to say, I simply haven’t had the energy to blog. I apologize for my abrupt absence. I will be resuming my four-times-a-week posting schedule this week. My sweet girls and I. And it feels good to be back. So, today, we celebrated a “first” in our house. It’s a first that comes around once a year…or twice, if you consider the fact that my daughter doesn’t attend school in the district where I teach. Yep, you guessed it. Today was my oldest daughter’s first day of school. If you follow me on Instagram, you have probably already seen our newly minted second grader with her “back to school” sign and toothless grin. …and some of us even take a picture at the school, or in front of the school sign. But what do you do when your school child’s almost three year old little sibling feels left out? Make them a sign, too, of course! Little Miss was tickled pink to be a part of the photo-festivities…and we got some super cute shots to use in her yearbook someday. Her sign reads, “I’ll be here in three years!” Due to her late fall birthday, she’ll start school the fall AFTER she turns five, meaning she’ll turn six during her kindergarten year. We even sneaked back over to the school once the traffic died down a bit to take these cute pics in front of the school buses. It’s rare that I get a photo of the two of them where Aubrey is cooperating. Even though these two engage in a whole lot of sisterly spats, it’s clear from these pics that they really do love one another. And that makes my heart smile. I hope you all have a wonderful school year, even those of you who (like me) haven’t started back to school yet. Have a wonderful week, and join us tomorrow for some more “back to school” goodness. How to plan an organized beach vacation: tips for making your summer family vacation the best one EVER! 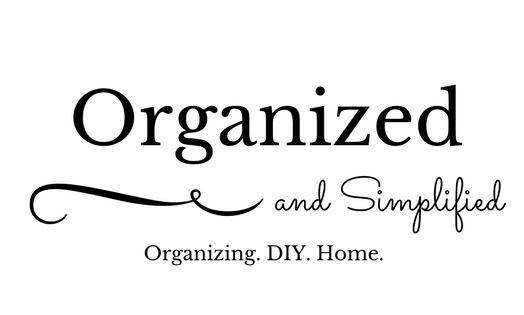 June 25, 2018 by organizednsimplifiedLeave a Comment on How to plan an organized beach vacation: tips for making your summer family vacation the best one EVER! Picture it: you’ve finally arrived at your destination on your long-awaited yearly family beach vacation…and you’ve arrived to complete and total chaos. Your hotel/accommodations weren’t what you envisioned, you can’t find half of what you’ve packed, your kids are hungry and grumpy, and you’re about to lose your mind. We’ve all been there, and it’s never pleasant. Sometimes, despite our best planning, our vacations don’t always go so well, and sometimes when you book your vacation the following year, you worry you’ll have a repeat experience. Worry no more, because an organized family beach vacation IS possible. The two major things that stress me out the most about vacationing are 1. Spending too much money, and 2. not properly planning for the needs of my family beforehand. Those are the issues I’m going to discuss the most today. a. I’m a big fan of saving money on vacations. Although vacation lodging is expensive, you can actually save some money. Before booking, browse discount travel websites such as Expedia or Hotels.com. Many chain hotels/motels even offer discounts for military personnel, AAA members, and many other things. Sometimes hotels offer special packages for certain rooms or off site activities that could save you a little cash. You should certainly check to see what reduced rates, discounts, or special rates are available prior to booking your accommodations. b. It’s super easy to blow your travel budget on meals if you manage to eat out for every meal. If you’re lucky enough to get a hotel room with a kitchenette, or rent a house/condo, you can utilize your kitchen and refrigerator to cook some lunches and breakfasts yourself. A trip to the grocery store for a few cheap, smaller meals is still cheaper than eating in restaurants for every meal. d. Don’t go shopping. I know this one sounds crazy, as it’s one of the things some of us look forward to when we go to the beach. BUT, before you shop, ask yourself: is this something I can do at home? Is this really something I need to buy right now, on this trip? Are similar stores available back home? If you can answer yes to two of those questions, don’t shop. Wait until you’re home, where prices will likely be less in a “less-touristy” area. e. Search up discounts before booking excursions or activities. Sometimes your hotel concierge or front desk staff will have an inside scoop on coupons or discounts for local fun and games. You’d be surprised how often you can find discounted rates on aquarium tickets, local mini golf attractions, or amusement park admission via your hotel’s front desk. a. Researching the area before you book your trip. If you’re headed to a destination you’re already familiar with, skip this step. BUT, if you’re traveling somewhere new, you may want to make sure your family will have plenty to do. Make sure there are lots of fun activities that aren’t too costly your family can enjoy. You also want to research the area so you’ll know where nearby drug stores, minute clinics and pharmacies are in case you need them. Familiarize yourself with the area so you will not have to spend so much time looking for streets and landmarks. b. Create checklists. Before you start packing, write out a checklist for each family member and what you’ll need to pack. Be mindful of any planned activities or excursions you’ll be participating in as you’re thinking about your packing list. Create a checklist as well for what you’ll need while traveling to your destination. For your kiddos, it’s a good idea to have some snacks and quiet activities on hand to curb boredom. Make sure when you pack that you aren’t rushed. If you’re in a hurry, you’ll be more likely to forget things. See also What to pack in your toddler’s pool bag! and Vacationing with kids: How to simplify. c. Pack your vehicle the night before your trip, if possible. Packing the night before will save you some time, will cause you to be less stressed when you leave for your destination, and will give you time to realize you may have left something behind. I hope you have enjoyed our travel tips. Tune in next week for our favorite products for traveling to the beach. Summer is quickly approaching, and for most of us, summer means pool and beach trips. Those of us with more than one child have a pretty good idea about what your tiny tot will need for a trip to the pool, but if you aren’t sure, I decided to share what’s in our pool bag. We are a family of four, so our pool bag is this giant monogrammed Land’s End tote with a zipper top. It holds everything we need for some fun in the sun and I love it! A snack (not pictured). We try to always bring a healthy snack for both kids no matter where we go. Dry cereal works well, as do small fruits (grapes) or veggies (carrot sticks), and things like granola bars or Belvita biscuits. Swim diapers and wipes (if your toddler isn’t quite potty trained. Ours is not). I always feel the most organized and prepared for anything when I create a checklist beforehand, run down my list, and physically check it off. I decided to share that list with you as well. To download it, simply right click on the picture below, save it to your device, and then print it. For best results, do not print larger than 8X10 inches. Enjoy your pool and beach trips this summer!